These tickets are for the finals portion of the 2018 NPC Minnesota State Championships, prejudging tickets are included with the GA ticket the the Minnesota State Sports Expo. Tickets for finals are General Admission, however we do have some VIP GA sections that are smaller sections (meaning less competition for seats when you arrive) and at the front of the auditorium. All other GA tickets will have assigned sections, the earlier you purchase your tickets, the better section options you will have. 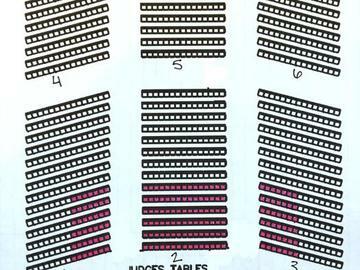 See seating chart for section location. This ticket is for the finals portion only, for prejuding and other expo events you will need to purchase a ticket to the sports expo.